Adventure travel and lifestyle blogger Absolutely Lucy on careers, blogging and advice for getting where you want to be in life. From how to secure a new job. Or advice for university and your studies. To advice for new bloggers and how to get started in the industry. As a former journalist, a freelancer writer and travel blogger. Lucy offers tips and support to those just starting out. Find all her latest career & blogging advice here. Don’t miss her posts on how to start a blog and enter the industry. Adventure travel and lifestyle blogger Absolutely Lucy comes from the UK but has spent the last few years traveling the globe. Having visited more than 30 countries, she’s taken on solo female travel with gusto and has shared every second with her audience. 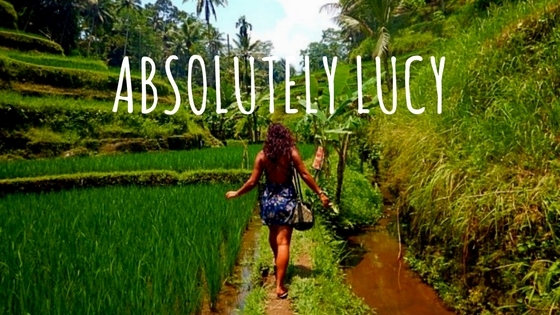 Explore Absolutely Lucy for honest, real and raw experiences from travel and life. Her unfiltered take on the world, and everything from career & blogging advice and relationships. To following your dreams and heart. Aimed at women with adventurous hearts and curious minds. Lucy forgoes the polished blogger style for a raw, real collection of stories from her travels. Not afraid to talk about the harder side of traveling, life and relationships. This is the blog for the twenty-something who has spent far too long sitting in a dreary office daydreaming of something more. Travel | Vote for me in the UK Blog Awards! Flying high after a UK Blog Awards win!